Today we drove through the mountains between Forli in Emilia-Romagna and Tuscany, then down past Florence to Staggia a small town near Siena. As this was a transitional day and we were settling into our new (temporary) home we just popped down into town for a quick local dinner. This joint is in the center of this one horse town. 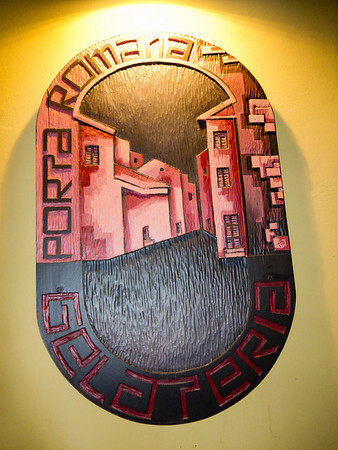 It has a big menu of typical Tuscan fare and very reasonable prices. 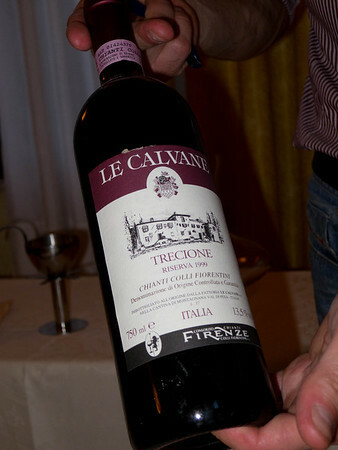 This being the heart of Chianti we chose a local Chianti Classico. This was probably about an 89 point wine, but it had some decent age on it making it fairly nice. It was old enough that they decanted it. In this modern age, the old adage, “don’t order seafood in the country,” no longer applies. 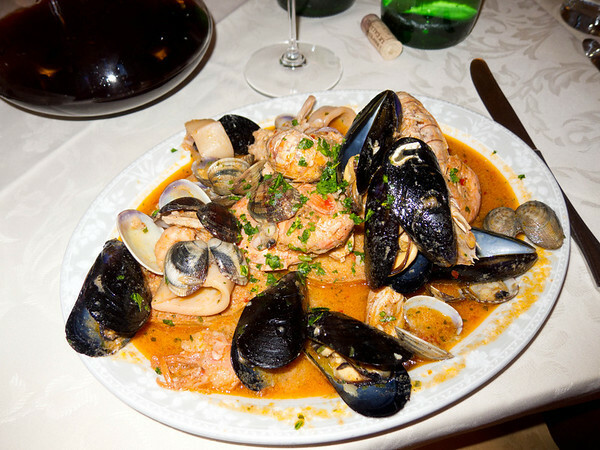 This was billed as Zuppe di Mare. There wasn’t a lot of “soup” but it was tasty with a hearty garlic tomato sauce and various and mysterious shellfish. 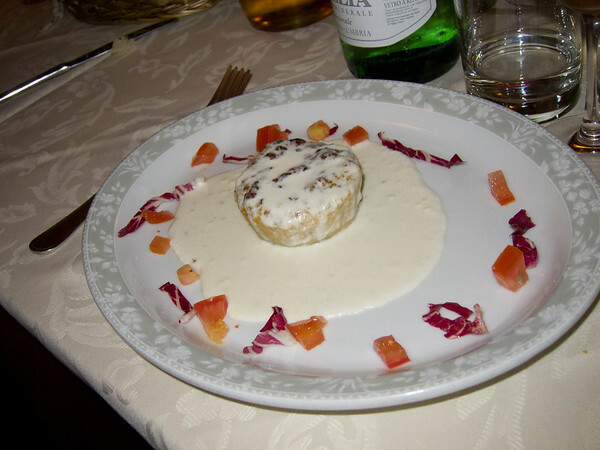 Torte of Zucchini in a Pecorino sauce. 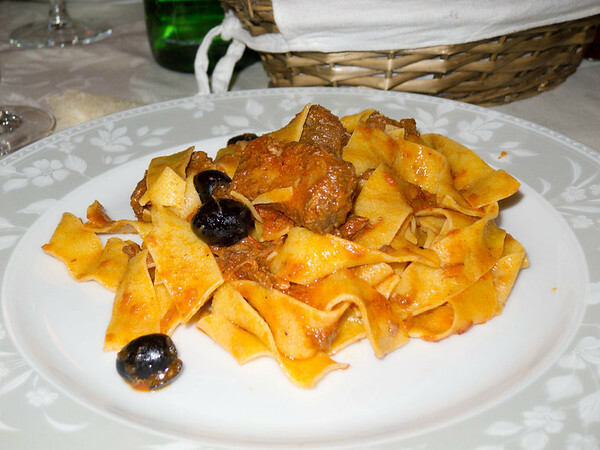 One of the MOST typical of pasta dishes, Pappardelle Cinghiale (wild boar ragu) with olives. The Cinghiale is the local hairy wild boar of tuscany. Click here for some pictures of this delightful creature. 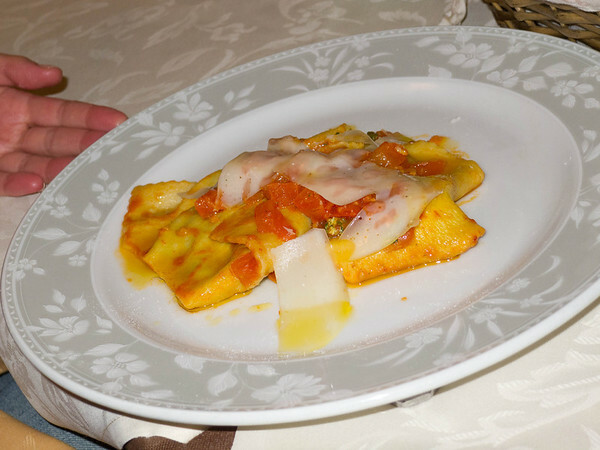 This is a big wide fresh pasta with pomodoro and pecorino. 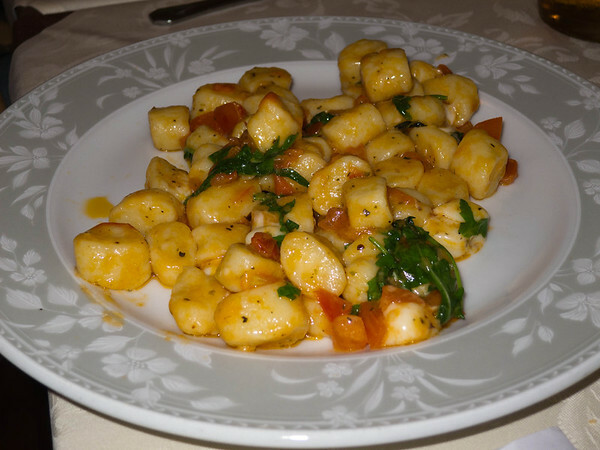 Gnocci with pecorino, tomato, and arugula. 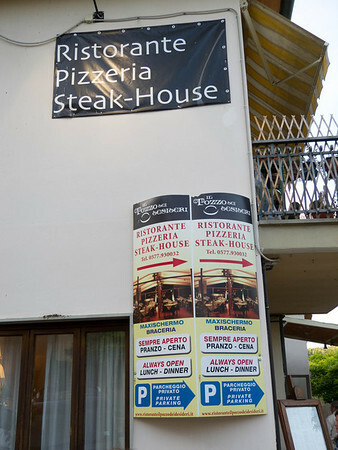 And another Tuscan classic, the block of beef. 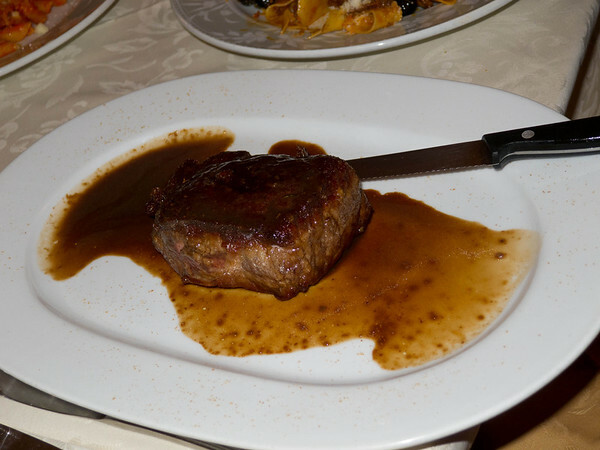 This is a fillet in balsamic sauce. 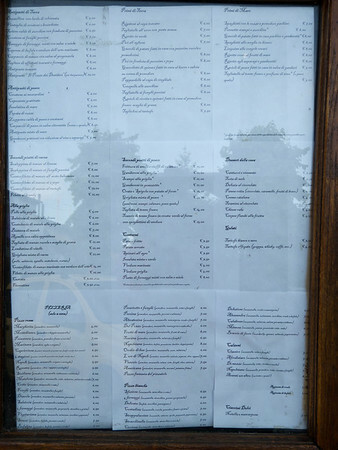 Notice how it’s served rare. Really rare. 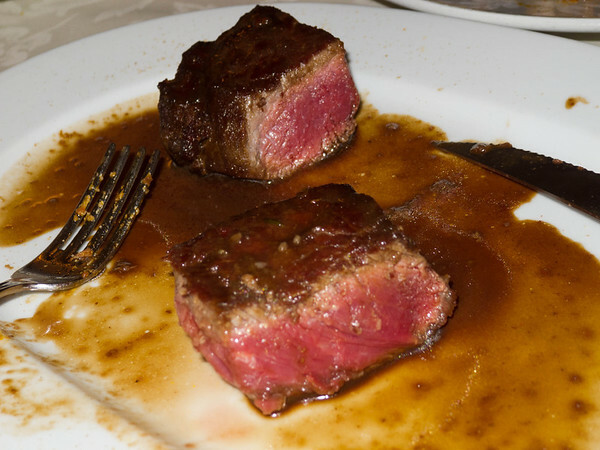 Tuscans don’t believe in cooking their beef. It was tasty though. Leaner and a bit tougher than an American filet, but full of flavor. Overall the place was very good for just being a casual inexpensive local spot. We did however run an odd service quirk when they brought out a second steak a full hour after everyone else got their food (they had forgotten the order). Unlike in America they didn’t want to pull it from the bill (although it was only about 10 euro) and instead insisted on boxing it up for us. 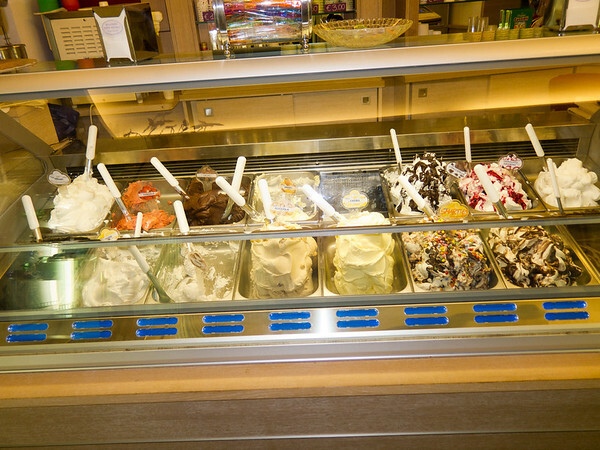 Then we walked across the street for gelato. The place was humming at 11pm, packed with kids. The didn’t have a lot of flavors, but they are all artisanal and very good. 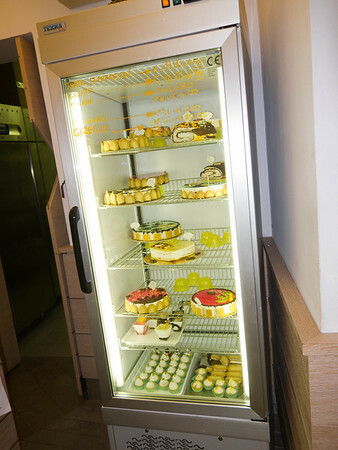 Some various gelato cakes too. 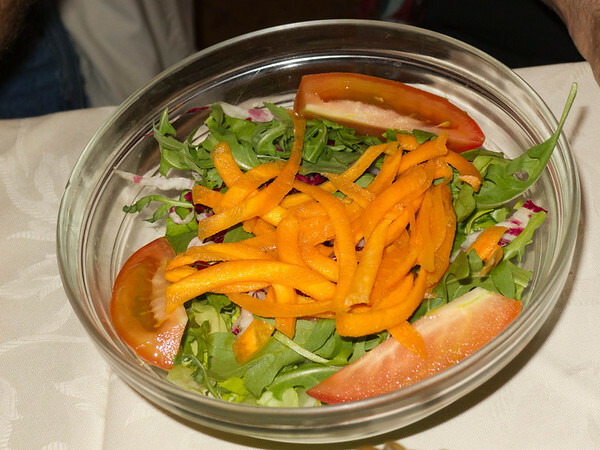 This entry was posted in Food and tagged beef, Bologna, Chianti, Dessert, eating-italy, Emilia Romagna, Emilia–Romagna, Gelato, Ice cream, Italy, pasta, Pecorino, Pozzo dei desideri, Restaurant, Restaurant Review, Siena, Steak, Toscana (wine), Tuscany, vegetarian, Wild boar.